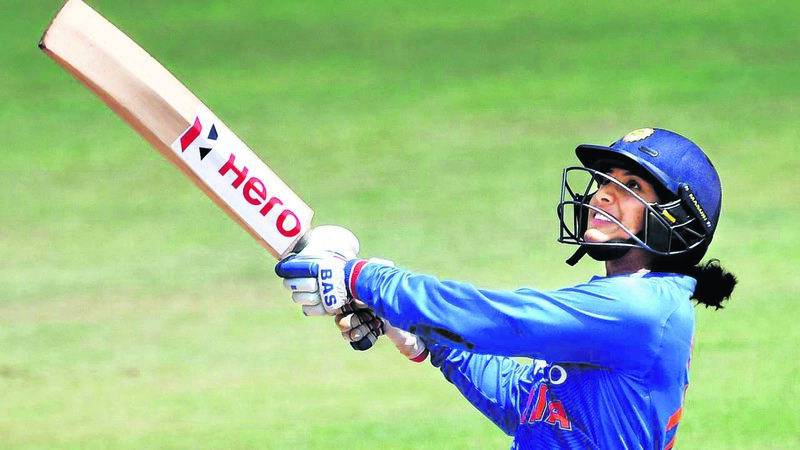 Indian women's cricket team opener Smriti Mandhana, who has been in prime form with the bat in ODIs, has been named the number one batswoman. In the recently concluded ODI series against New Zealand, the star player struck 105 and 90* to help Indian eves win the series by a 2-1 margin. Her exploits have seen her rise atop in the ICC ODI Rankings for batswomen. Mandhana has 751 rating points and has taken a substantial lead over Australia's Ellyse Perry (681). She climbed three spots to be crowned the top player in the charts. However, Indian team skipper Mithali Raj slipped one position to fifth in the rankings (669 points). Since the beginning of 2018, Mandhana has smashed two tons and eight half-centuries in 15 ODIs. Mandhana's consistent performances have helped India do well in the ODI format. Her aggressive approach upfront has paid dividends. After making her ODI debut in 2013, the opening batswoman has amassed 1,798 runs from 47 matches. She has a strong batting average of 41.81. Mandhana has four hundreds and 14 fifties to her name. Several other Indian players improve their rankings. The 18-year-old Jemimah Rodrigues was another Indian to make a mark in the rankings. She has featured in seven ODIs since making her debut in March 2018. Her fifty in Napier helped her gain 64 places. She now sits at number 61 in the rankings. Indian spinners Deepti Sharma and Poonam Yadav broke into the top 10 and pacer Jhulan Goswami rose to number four. New Zealand players Amy Satterthwaite jumped ten places to number four in the rankings. She hit consecutive half-centuries against India, and a total of four in her last 10 ODIs. Fellow New Zealander Suzie Bates rose one place to number six.